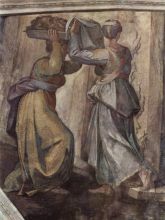 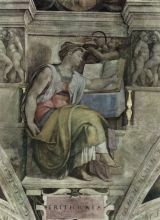 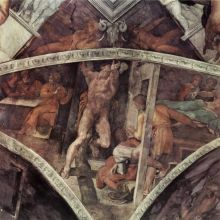 Michelangelo's output in every field during his long life was prodigious; when the sheer volume of correspondence, sketches and reminiscences that survive is also taken into account, he is the best-documented artist of the 16th century. 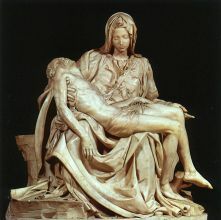 Two of his best-known works, the Pietà and the David, were sculpted before he turned thirty. 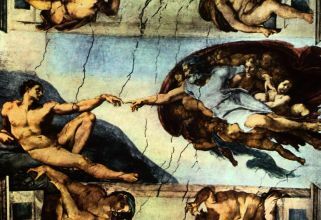 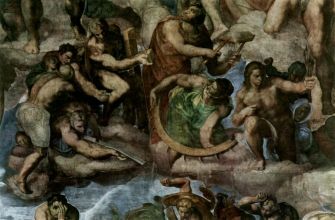 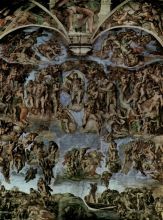 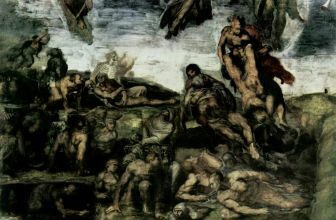 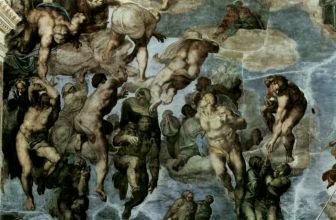 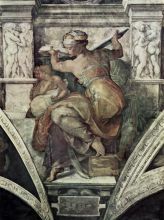 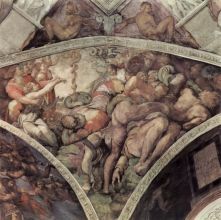 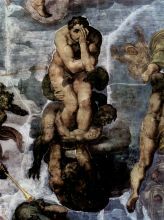 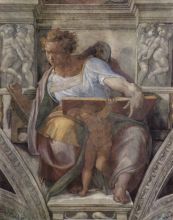 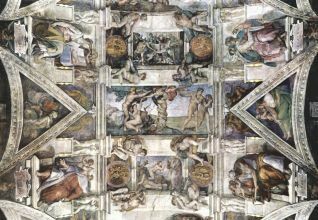 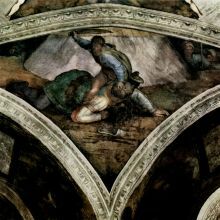 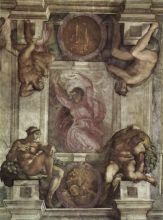 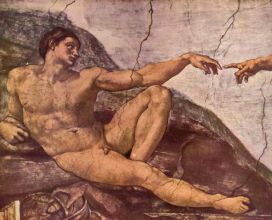 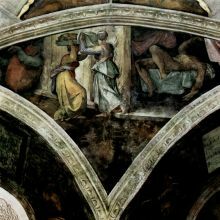 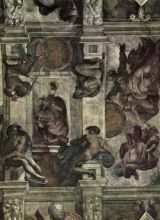 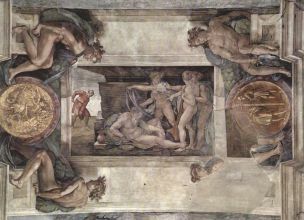 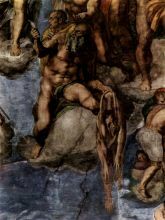 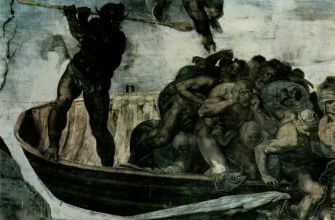 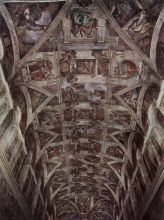 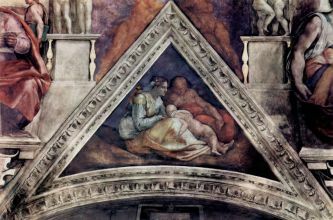 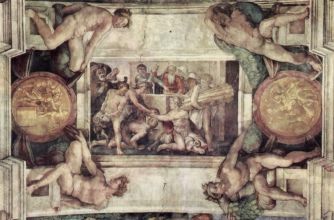 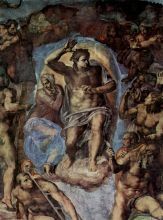 Despite his low opinion of painting, Michelangelo also created two of the most influential works in fresco in the history of Western art: the scenes from Genesis on the ceiling and The Last Judgment on the altar wall of the Sistine Chapel in Rome. 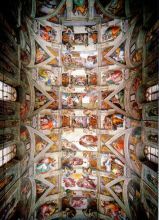 Later in life he designed the dome of St. Peter's Basilica in the same city and revolutionised classical architecture with his invention of the giant order of pilasters. 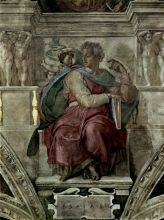 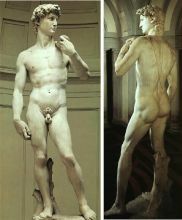 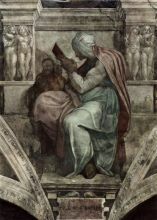 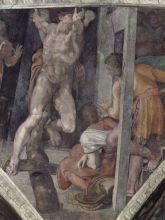 In a demonstration of Michelangelo's unique standing, two biographies were published of him during his lifetime. 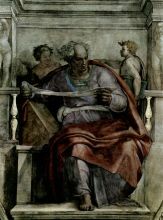 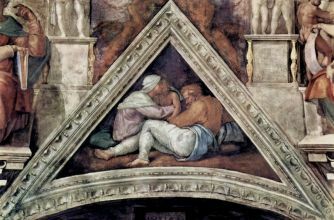 One of them, by Giorgio Vasari, proposed that he was the pinnacle of all artistic achievement since the beginning of the Renaissance, a viewpoint that continued to have currency in art history for centuries. 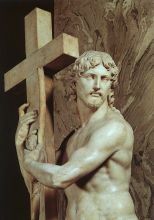 In his lifetime he was also often called Il Divino ("the divine one"), an appropriate sobriquet given his intense spirituality. 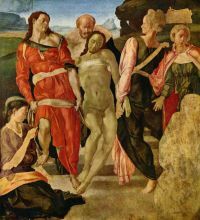 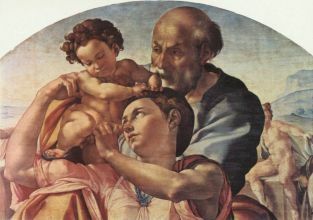 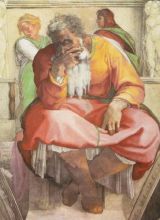 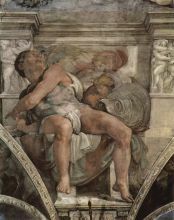 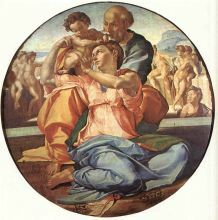 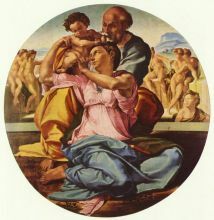 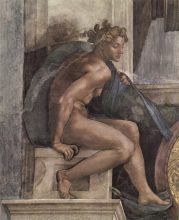 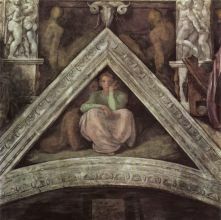 One of the qualities most admired by his contemporaries was his terribilità, a sense of awe-inspiring grandeur, and it was the attempts of subsequent artists to imitate Michelangelo's impassioned and highly personal style that resulted in the next major movement in Western art after the High Renaissance, Mannerism.